See? I told you. 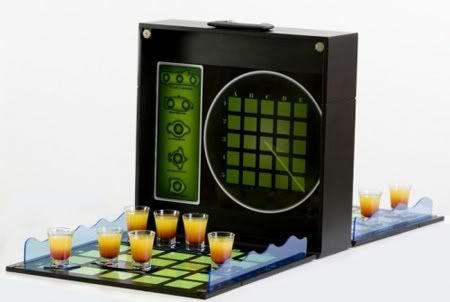 Thanks to Toxel (again) for putting together a list of funky game tables. The world's longest Foosball table is there, too, which could let two full soccer teams (22 people) play at once! And another that puts Lego Pirates against the Knights. Actually, now that I look at it, half the list consists of foosball tables, ha. Hope you like foosball! 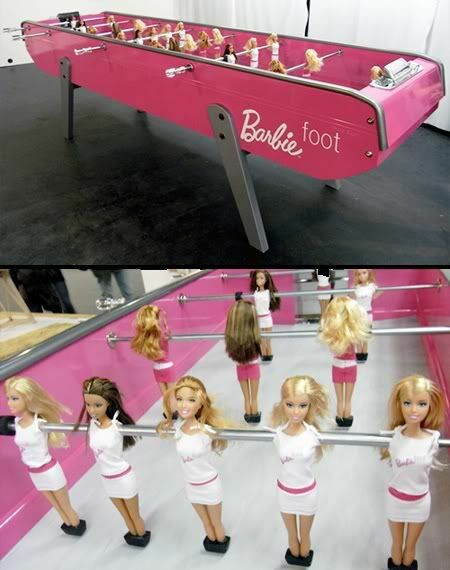 for the Barbie Foosball table, is the ball her head? If it's not, it probably should be!